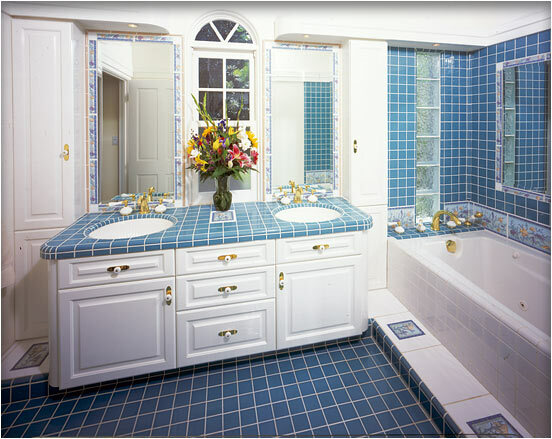 Larger Project 3-8, Master Bath » Roger Perron Inc. The master bath has a whirlpool with a step and the tiles have a fish theme. The glass-blocks at the end of the tub have bubbles in them to mimic an aquarium. The shower and toilet room is on the other side.